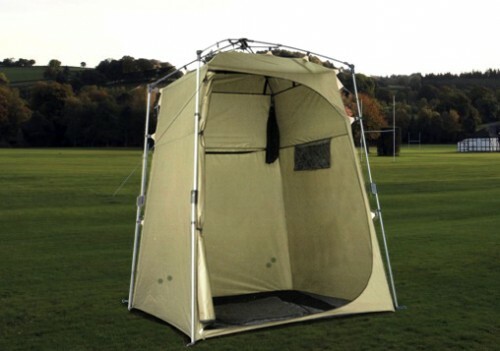 The perfect portable shelter to use for changing clothes at the beach, park, campsite, or to use as an outdoor bathroom. 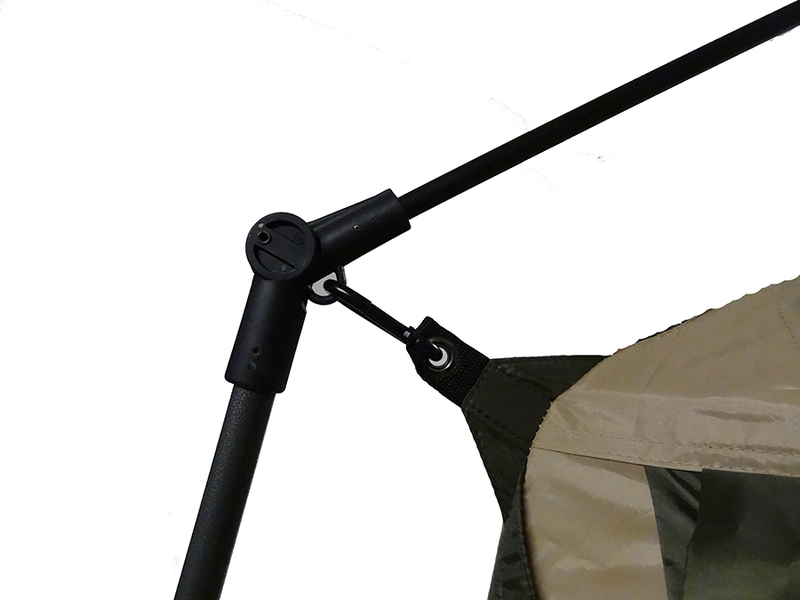 The frame is integral to the tent providing an easy setup and fold down in one minute. 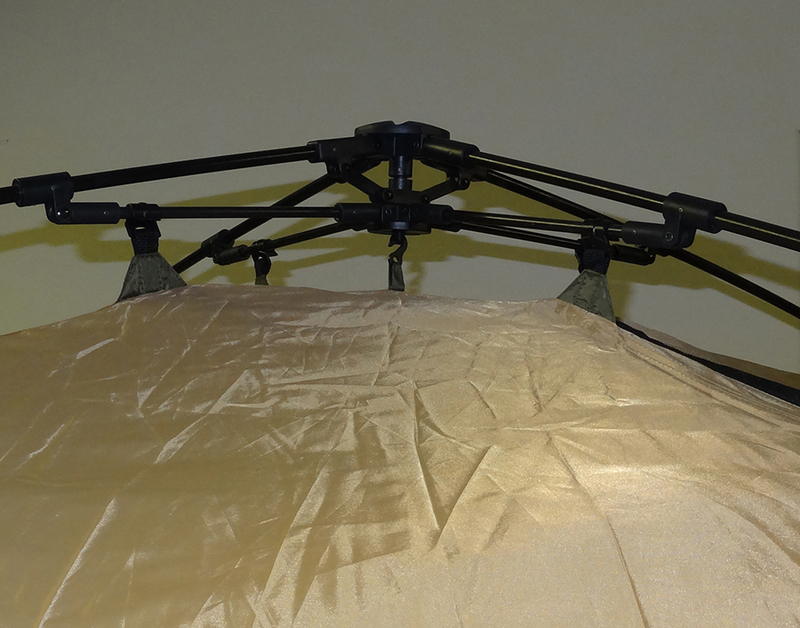 The strong steel and fiberglass frame simply snaps into place for easy one minute setup and fold down. No assembling or inserting poles. 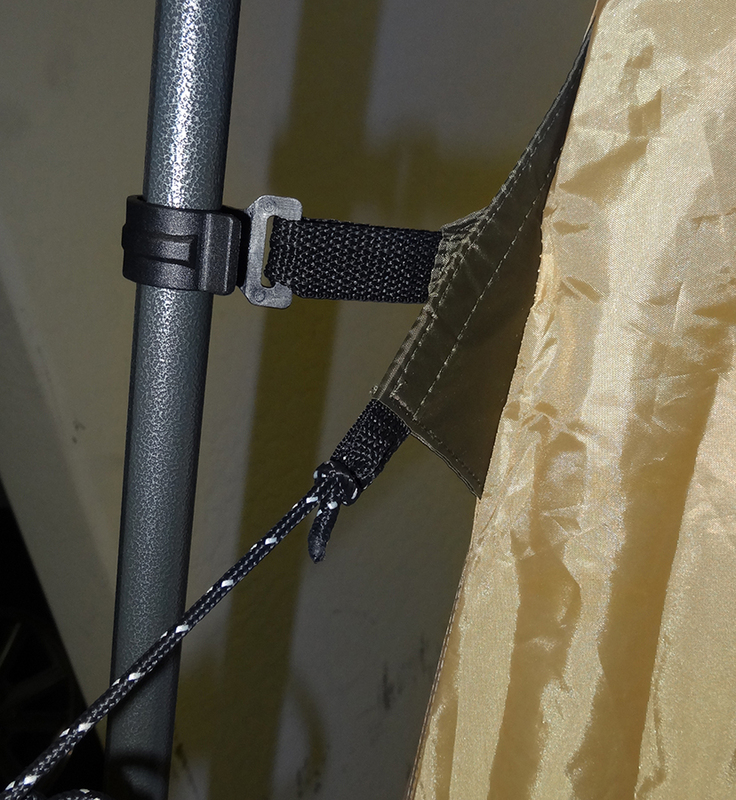 All poles are already installed in the tent like an umbrella. 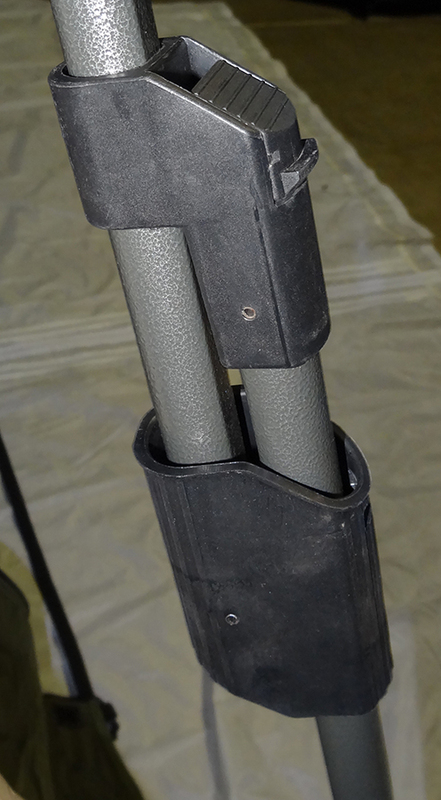 Extend the adjustable lower legs to give you plenty of stand up height. 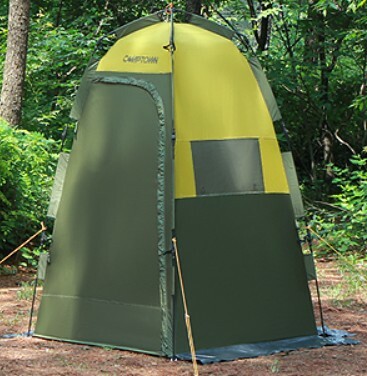 Use this tent as a place to change clothes or hang a portable shower from the inside roof along with a portable toilet to make a full outdoor bathroom.